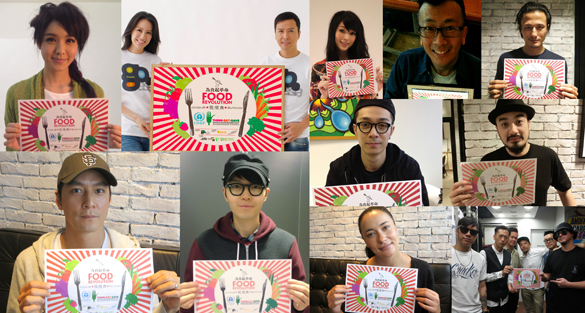 ← Hong Kong Hungers For Better Food and Food Education 香港需要飲食革命! United Nations Environment Programme (UNEP) set the theme of 2013 World Environment Day (WED) as “Think.Eat.Save. Reduce Your Foodprint” – to encourage the world to take action to reduce food waste and loss. UNEP Goodwill Ambassadors Gisele Bündchen and Li Bingbing, The Vampire Diaries’ Ian Somerhalder all fully support this global campaign and have helped spreading the word through their fan page since last month. In Hong Kong, 3,200 tonnes of food, which is the weight of 120 double decker buses, are sent to landfill every day. In light of this, local celebrities united together to make their appeal and call the public for action to save our food resources. “No leftover citizen” includes, Daniel Wu, Lisa S., Donnie Yen, Cissy Wang, Khalil Fong, Ella Koon, Jun Kung, Lawrence Cheng, Pakho Chau, Terence Yin, 24 herbs, Shiga Lin and more. Furthermore, the “No Leftovers Pledge in Hong Kong” received over 500 photos in 2 weeks! 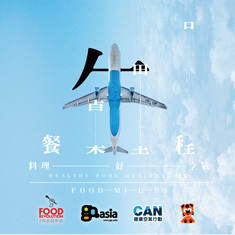 It is supported by local food concern groups and food banks, including the Greeners Action’s No Leftover campaign, Cheung Chau’s Food Recycle Land project, Food Grace’s Food Recycling Scheme, Feeding Hong Kong, Food Angel and St. James’Settlement People’s Food Bank.